222 N Main St*, Los Angeles which is a restaurant named "". 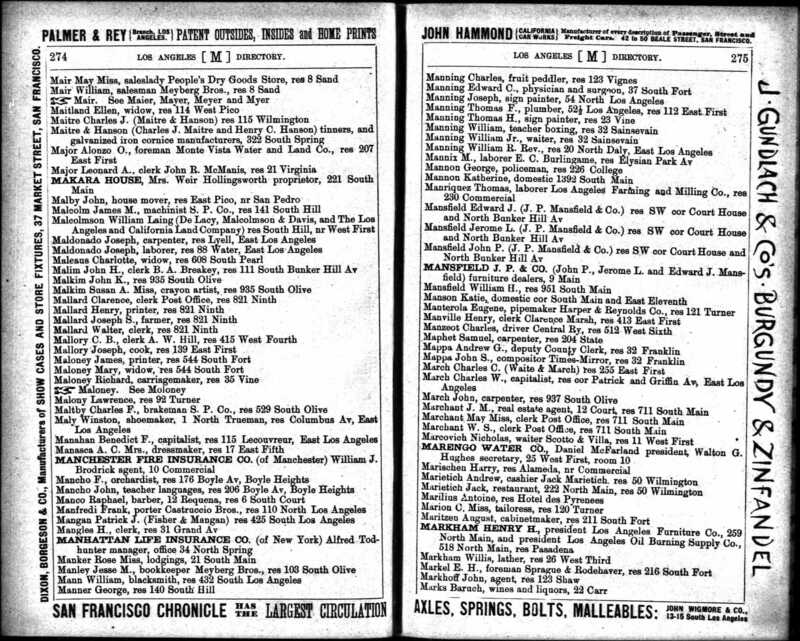 Source: 1887 Los Angeles City Directory. p275.